Thanks to the technological developments in medicine and physiotherapy, today there are a number of solutions that you can turn to in case of any ailment. 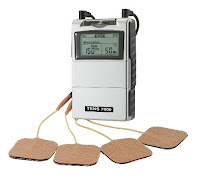 There is an incredible number of companies that are producing a myriad of products that are designed to lessen the physical pain in your body whether you are suffering from some sort of an injury, or if you are in post-operation period and require treatment, or you are an athlete with needs to relieve the sore muscle tension, the most common and widely used product for these problems is the TENS Unit, a small electrical device used for Transcutaneous Electrical Nerve Stimulation to get rid of the pain. However, there is more to it than just simply getting one, how do you know which one is the right for you? While TENS units are safe to use, the only time you should stay away from them is in the case that your doctor specifically orders you to do so, this is usually told to patients that have a pacemaker installed or to women that are pregnant and within the first couple of weeks of their pregnancy. Before deciding to buy it, you should know specifically what is it that you intend to use it for, that is, you should be aware of your problem fully and only then consider the methods to solve it. Always consult your doctor, physiotherapist or another specialist that can give you an opinion regarding your problem. Since we mentioned previously that there are a lot of companies producing the TENS units, there are many variants with a number of different options and features available to each of them, so you should always take some extra time and look up the product that you want to buy and see what is it that would be that could benefit you the most out of those features. 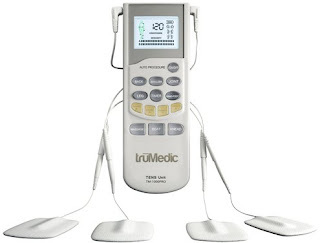 A lot of Units come with the ability to vary the intensity levels and this is one of the core characteristics that you should look for to be included in your product, in addition, many units come with pre-programed modes that are specifically designed to auto-regulate the volume and intensity levels based on which mode you select, these vary from being applied to resolve back problems, any sort of muscle tension or in the cases of relieving pain from joints. Also, one more thing to look at is the power consumption, remember that these devices operate on batteries so you should preferably look for one that has the ability to charge the battery with an external cable, this is simply to save you the cost of constantly having to buy new packs of batteries, since it is highly inefficient. Another thing to look at is the number of pads available that you can use at any given time, most of the units have a standard of two pads, but some have more. Finally, after you’ve looked through the number of available modes and other features, lastly, look for the price that is not too cheap but not too high, usually between 80 and 180$. What Are The Benefits Of Custom Built Homes? Feeling Stressed? Massage Your Ear! Is Your Home Safe Enough for Your Children?